In the past, I’ve been a bit nervous about learning a new program, a new tool, etc. While studying publishing, I learned Adobe’s Photoshop and InDesign as well as Quark. 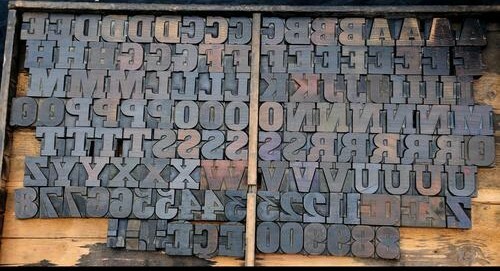 While I still enjoy playing in these programs–thinking about layout and design–these programs are intended for print materials: posters & brochures, newspapers & magazines, and books; work dealing with the Internet has been minimal until only recently. I’d avoided such tasks–well, there was no need to learn them for any job and no real burning interest on my end. Archives and libraries have always been comfortable and rewarding places. And I am perhaps from that last generation of undergraduates whose mentors and academic advisors (I’m convinced with the best of intentions for us) warned about the dangers of an online presence. Blogs can’t help you in academia, so they can only hurt you. So with this advice in mind, and my own ill-conceived notion that blogging was only for the “tech geeks” and lowliest form of memoirists–sad, sentimental, or angry–I stayed clear of falling into such a ravine. I first impressions on Omeka.net have been positive; I intentionally signed up with no plan. The lack of specific objectives might allow a few days of play and would allow me to evaluate how user-friendly the platform is to a novice, specifically looking at the installation process, set-up, and the design & customization available. Installation was very quick–it really only took a moment or two. Those familiar with most blogging platforms, especially WordPress will be able to navigate quickly through the first steps of set-up. 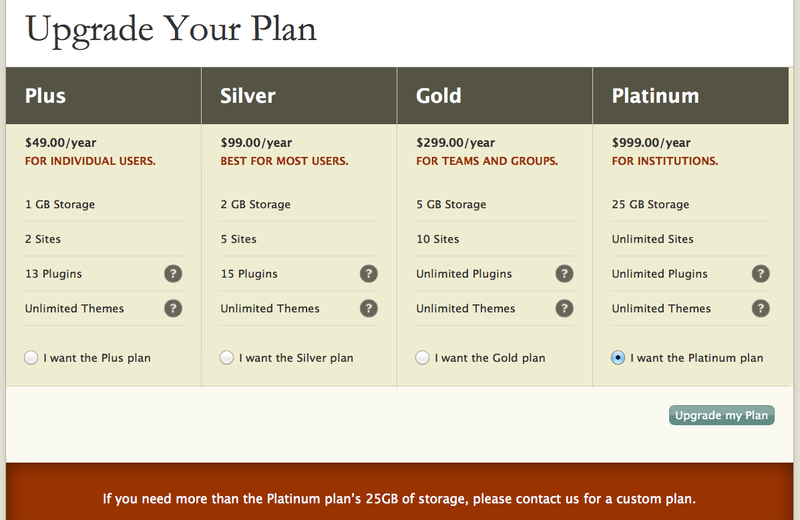 Omeka.org offers more customization options, but it requires users to secure their own server for hosting. Omeka.net hosts sites on its own server and offers a number of plans, but, as I disappointingly came to find out, the basic plan (i.e. the free one) was incredibly limited. For those just getting started, again like WordPress, Omeka does have a page for Forums for typical questions and troubleshooting, as well as a series of videos via Vimeo. These videos give a thorough breakdown on functions related to your Dashboard (again somewhat familiar to WordPress users) and site management. Under Settings, the Basic plan offers nine plug-ins (that I’m still exploring)–but already I see from what’s offered that Omeka (at least this version), while useful to a small organization interested in archiving a collection or exhibition, might best be suited for a classroom. The wheels are already in motion for how such a platform might be a worthwhile alternative to a course management system (CMS) like Blackboard. One issue I’m often confronted with is poor research skills from students. While most are savvy via the Internet and their mobile devices, they are slow to make connections between what they do on their own time and what is being asked of them for a course. A platform like this (an alternative to a blog) might bridge this gap (I think there’s a particular static expectation maintained by logging into a CMS via the university website versus something that is outside or beyond the institution) and may foster a new level of engagement and dialogue between them over the materials collected. Still, there are two problems I’m already running into. First is the limited availability of themes. There are four options (and each option offers four “Seasons” or background colors). But, as you can see below, these options are all very bland, limiting, and not at all aesthetically pleasing. The other issue concerns viewing your site. Unlike WordPress, when you click on the “View Public Site” button, there is no way to access your account or Dashboard (besides the “Back” or “Previous Page” button on your browser) and it’s recommended in a few spots that you actually log out and enter the site’s URL directly (to see what others’ see). Lastly, I am pleased to say that I’ve uploaded all sorts of files successfully and Omeka seems to be working well, but I am also beginning to notice that there is a lot of scrolling involved to looking at my uploaded inventory, which I don’t like and see as a real turn-off for potential users. By my next post, I hope to see what happens as a wipe the slate clean and begin on a specific, goal-oriented site with Omeka. As I do, I’ll be continuing to examine what other sites have done, what decisions they’ve made, and what I consider an effectively designed Omeka site. 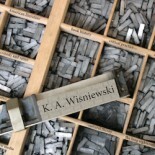 This entry was posted on March 7, 2013 by k.a.wisniewski in Digital Humanities and tagged Curation, Digital Humanities, Publishing.